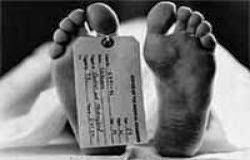 n individual who was admitted to the Muttur Hospital with food poisoning died on Thursday. Medical Superintendent of the Muttur Hospital Dr. V. Prem said that 25 individuals who suffered from food poisoning after consuming fish were admitted to the hospital on Wednesday. One of the individuals died today. The superintendent further said that 24 individuals are receiving treatment and are not in a serious condition.